With the RHS Chelsea Flower show in full swing, we decided it would make for an appropriate time to pay homage to our favourite artists who work with the floral and botanical world. Not limited to artists who work with live flowers, we also look at visual artists who use florals as a focal point alongside a range of varied mediums. Alice McCabe credits her love for colour to her career path, balancing the art of painting and flower arranging. Her creations are often influenced by the foliage that surrounded her during her upbringing in Australia. See Alice’s latest arrangements via FLOOM here. 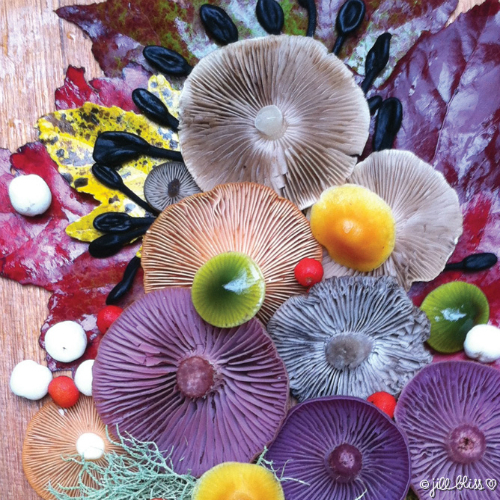 Based in the Salish Sea islands of Washington state and Canada, Jilly Bliss works with fungi to create stunning works that highlight the often overlooked pieces of the natural world. After quitting her job as a designer in 2012, she now spends her time exploring and appreciating the diverse bioregion of Cascadia. See more of her work here. The second Australian on our list, Simone Gooche took her practice (titled FJURA) to London in 2015. She has made quite the name for herself since with her varying talents from personal bouquets to large scale installations for names like Vogue Australia, Woolmark and The Plant Magazine. See more of her work here. 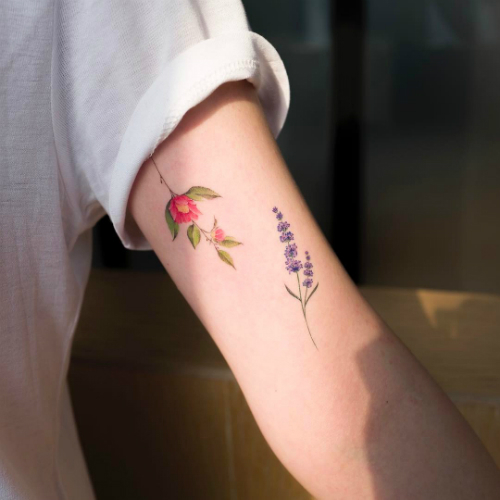 Kim Da Sol creates delicate and colourful tattoo art from her studio in Seoul, South Korea. Offering both permanent and temporary artworks, the success seen by the young artist is even more impressive when you consider that Korea holds notoriously strict laws when it comes to the world of tattooing. Her floral pieces convey an impressive softness and richness that isn’t easily achieved through the medium. See more of her work here. View more stories on our blog here.